Here at Noise 13, we go all in for Halloween. What better way to kick off October than to take a look at some of our favorite and best-designed horror film posters. Deadly Tired by Alain Bossuyt is a modern minimalist twist on the classic “A Nightmare On Elm Street”, alluring yet still creepy. It’s hard to hear the word “Jaws” and not think of this iconic poster. It was the first official “summer blockbuster” and the beginning of everyone’s shark phobia. 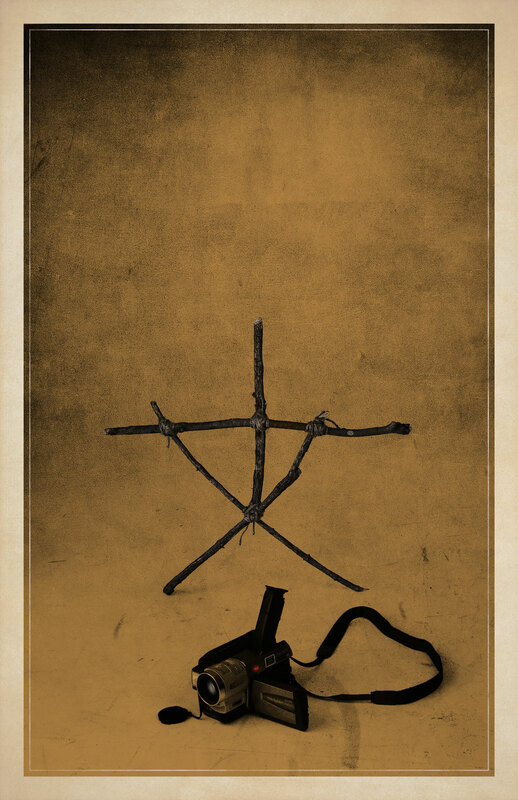 The Witch is a perfect example of the modern horror poster vs. classic horror posters. Simple, clean, disturbing. While many might play favorites between the original Dawn of the Dead, made in 1978, and the remake in 2004 – we think the original poster is the winner. It’s rumored they used a real corpse and live ammo during the action scenes in this Swedish grindhouse thriller. Plus, the main character was the inspiration for one of the main characters in Kill Bill. Artist Andrew Swaoinson did this interesting reimagination of the poster for the horrifying Japanese cult-classic ‘Audition’. Nosferatu is a masterpiece that still holds up today, and so does the poster. The Love Witch is a modern movie made in a classic 70’s style. The second film by Anna Billar, this movie will transport you to a different time. The Cabinet of Dr. Caligari is considered the first ever horror film ever made. With a viral guerrilla marketing campaign, they plastered cities with posters in German and no explanation. The Blair Witch Project was monumental for many reasons and launched the “found footage” type horror film style. This modern reimagination of the poster is striking for its simplicity. Halloween kicked off a horror film franchise lasting decades, terrifying babysitters for years. San Francisco State alum Ana Lily Amirpour’s The Girl Who Walks Home Alone At Night was the first ever Iranian-American vampire movie. With it’s black and white captures and cinematic lens flares, we’re not surprised we love the vintage feel the poster captures. No list of cinema posters would be complete without legend Saul Bass. His classic designs for ‘Vertigo’ and ‘The Shining’ can never go out of style.